Capital Kunst des Fechtens (CKDF) is one of the largest non-profit Historical European Martial Arts (HEMA) clubs in the eastern U.S. Our instructors and members foster an inclusive atmosphere where all are welcome explore the diverse world and weapons systems of bygone ages. HEMA is a broad term used to describe the study of medieval- and Renaissance-period martial arts of European origin. Practitioners use written sources that describe techniques and weapons systems in order to reconstruct these martial arts. What Is Our Approach to HEMA? CKDF focuses on several martial arts traditions and systems. The primary focus of the club is the teachings of Johannes Liechtenauer, called Kunst des Fechtens. This system comprises longsword, wrestling, dagger, messer, and polearms. Our world-class instructors provide a collaborative approach to source interpretation and a structured, athletic classroom environment. 25 S. Quaker Lane, Alexandria, VA 22304. The study of Historical European Martial Arts (HEMA) is the academic study of ancient fight manuals or fechtbucher (fight-books) and the practice of recreating and learning the skills of the ancient European fight masters. CKDF is an affiliate club of the HEMA Alliance, an educational not-for-profit organization that provides independent clubs and schools worldwide with resources; the KDF Network; and the Longpoint Historical Fencing League. You don't need to be in the best shape to start training with us. If you're interested in trying out HEMA with us, we offer an intro course to new students. You'll learn basic terminology, attacks and parries, and info about HEMA and what we do at CKDF. Course lasts three weeks and prepares students to join the larger Gemeinesfechten class on Thursday nights. When: Thursdays at 8p - email us to sign up for the next course. We run six introductory courses a year and it’s never very long until the next one!. Price: $45 for three weeks’ instruction. Equipment: Clean indoor shoes, athletic clothing, pelvic protective cup (required for men). After completing the introductory course students are invited to become full members and attend our weekly classes. 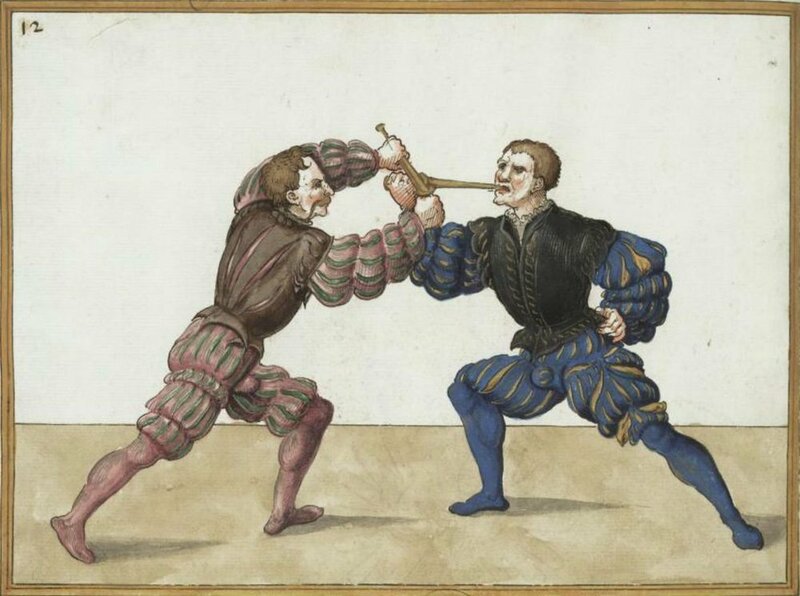 Gemeinesfechten, or common fencing, lays the groundwork for longsword fighters. In this class members learn the basics of footwork, cuts, thrusts, and defenses common to the German style of longsword fencing. Equipment: Feder (wood, synthetic, or steel), HEMA fencing mask, HEMA or lacrosse gloves). CKDF has masks and synthetic feders for students to use. KDF applies skills learned in Gemeinesfechten to the teachings of German fight master Johannes Liechtenauer. Instruction includes advanced martial theory, drills, tournament preparation, judging, coaching, cutting, and intense sparring. These classes are included in monthly membership dues. Polearm and Dagger classes are offered at off-site locations. Contact us for additional information. Equipment: Students must provide HEMA Mask. Equipment: Students must provide HEMA Mask and HEMA or lacrosse gloves. Equipment: None required. Mouth guard recommended. Equipment: Students must provide sword. Chest protection is recommended. Visiting, world-class instructors periodically grace CKDF members with master workshops. Previous instructors included: Mishael Lopes-Cardozo, Kristine Konsmo, Kristian Ruokonen, and Axel Petterson. 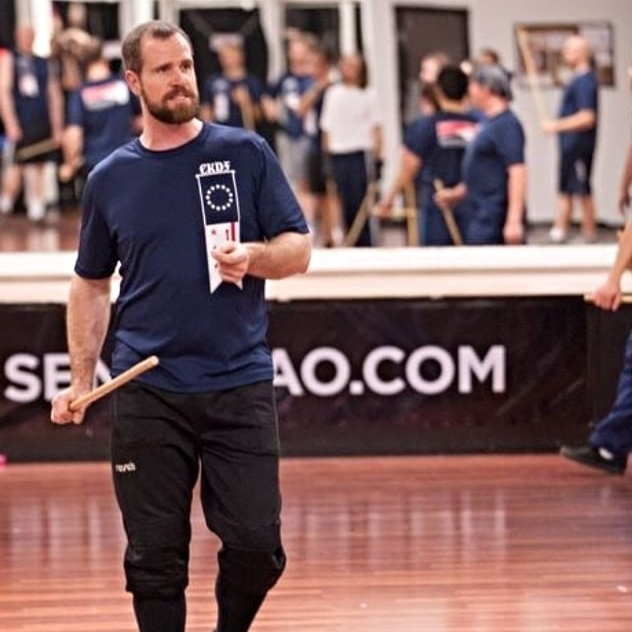 CKDF was founded by Jake Norwood, an internationally known competitor and instructor in Historical European Martial Arts (HEMA), with more than 30 medals from national and international full-contact competitions. A multi-tour combat veteran of the 101st Airborne, Jake established CKDF to combine the training regimen and psychological toughness of the modern warrior with the reconstruction and physical application of Europe’s traditional fighting arts. Karl Bolle is the Longpoint, DC HEMA Open, and Combat Con 2016 champion in advanced target cutting, and has earned multiple medals in cutting and single-handed weapon competitions. William Buschur is the lead polearms instructor, focusing on the individual use of staff, spear, halberd, and pike. William is a Maryland attorney. James Clark is an internationally-recognized expert in the montante (Iberian greatsword). He has earned multiple medals in cutting and longsword. He is a certified personal trainer. Chris Dyer is a certified instructor from the Cateran Society and specializes in the Scottish Highland Broadsword. He teaches classes in single stick. Chris is a certified personal trainer. Charles Lin is a longsword instructor and teaches both Kunst des Fechtens and common fencing sources. He uses historical and archaeological research, as well as a broad background in martial arts and dance, to inform his studies into the context and practice of Kunst des Fechtens. He is a financial economist and works in Washington, D.C.
Thomas Schratwieser instructs both common fencing and Kunst des Fechtens longsword, for which he has earned medals in test cutting and paired technique. He is a scientific consultant for the DoD in Arlington, VA. I'm brand new to HEMA and indeed martial arts in general! How do I start with CKDF? Email us at info@capitalkdf.org! We’ll set you up to attend our Introduction to German Longsword classes on Thursdays at 8PM, during which you and other beginners will work with an instructor who will show you the basics. If you find that you like studying with us you are welcome to continue in the regular Thursday night class with beginner and intermediate students. Just shoot us an email to get started. Where are classes held, and what is The Budokai? Classes are held at the Capital Area Budokai, 25 S. Quaker Lane, Alexandria, VA. It's pretty easy find parking on the street -- just check the signs to make sure you are in a legal spot. Enter the building (the entrance is to the right of Rockland's Bar-be-que). Turn right when you enter the lobby. We are the first gym to the left in the right hallway. We share space with The Capital Area Budokai, a Japanese martial arts club. We ask that our members be respectful of the space and wear only indoor shoes or go barefoot in the Budokai. Wear comfortable athletic clothes and a pair of indoor shoes. Men are required to wear an athletic cup in every class. Am I going to get beat up? In your first class you will not get beat up, but you will get to use a sword on an opponent. Even in subsequent classes, where members have minimal gear, you will not get beat up. A major part of our training consists of developing control of our weapons and bodies through slow-speed sparring. Only later, with proper gear, do members engage in full-speed sparring. Please note: HEMA is a martial art that involves swinging swords at others and you may receive bruises or get hurt. However, we take every precaution to prevent injury and it is very rare to receive anything worse than a bruise from our classes. I've got my card out and a shopping cart full of HEMA gear! What should I buy to do HEMA with you?! Don't buy any HEMA gear before talking to us first! We have our finger on the pulse of the HEMA gear market and seek to save our members money by ordering directly from distributors. Often we can save money on gear orders if you go through us! Also, many of us have purchased the very same gear you’re looking at, so please talk to us before making any purchases.